At Dallmore Automotive, our workshop provides a full range of mechanical repairs and services for all makes and models. Our skilled mechanics are qualified to perform your vehicle’s routine servicing and any other mechanical repairs it may require. We ensure that our workshop is kept up to date with the latest tools and equipment so that we can always deliver the highest standard of workmanship to our customers. Our mechanics specialise in four-wheel drive upgrades including lift kits and accessories. Log Book Service, Roadworthy Inspections, Transmission Repair, Vintage Car Repairs, European Car Services, Cooling and Radiator Repairs, Suspension Repairs and Many Other Mechanical Issues. To back up our quality repairs, we prioritise customer service when handling your repairs. 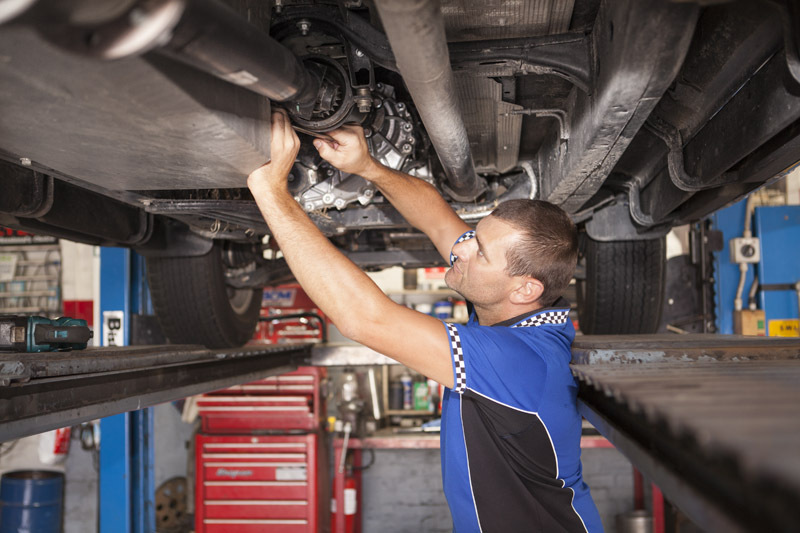 Our staff will keep you updated throughout your vehicle’s repair process, striving to get you back on the road promptly with your vehicle driving safely and running reliably. To find out more about our range of services, or to make a booking to have your vehicle repaired, please don’t hesitate to contact us. Our licensed vehicle testers are qualified to carry out roadworthy inspections on all conventional passenger cars and light commercial vehicles, including LPG vehicles. We have everything we need for 4×4 repair or service your four-wheel-drive vehicle, from diesel engine experts to a range of additional 4WD features ready to install. We can perform log book services for all makes and models of petrol, diesel and LPG passenger cars, as well as light commercial vehicles, book your next logbook service with us. At Dallmore we can recommend the right set of tyres for your vehicle, area and driving style, as well as take care of fitting, aligning and balancing to ensure maximum benefit to your handling. Our team at Dallmore Automotive can service your vehicle’s manual or automatic transmission, replacing whole units if needed, clutch cable tightness or looseness, or sticking clutch pedals that might cause transmission damage later. Very friendly, thorough and professional mechanic with a very expansive knowledge of the trade, who doesn’t cut corners to ensure the best for the customer. Highly recommend. For the past 8 years I have had all my vehicles serviced and repaired by Dallmore Automotive, private and work vehicles. The work is performed in a professional manner at the highest standard. Their knowledge is second to none on a range of vehicle makes and models with the latest technology and computer software. I have recommended them to everyone who has asked me and wouldn’t hesitate to recommend them to you. Ive been taking my cars to Dallmore Automotive now for around 10 years, the level of work and the value for money and service i receive is always outstanding and of very high quality, i have had both minor and major work done at Dallmore on my V8’s and other vehicles and i would highly recommend Dallmore to anybody.